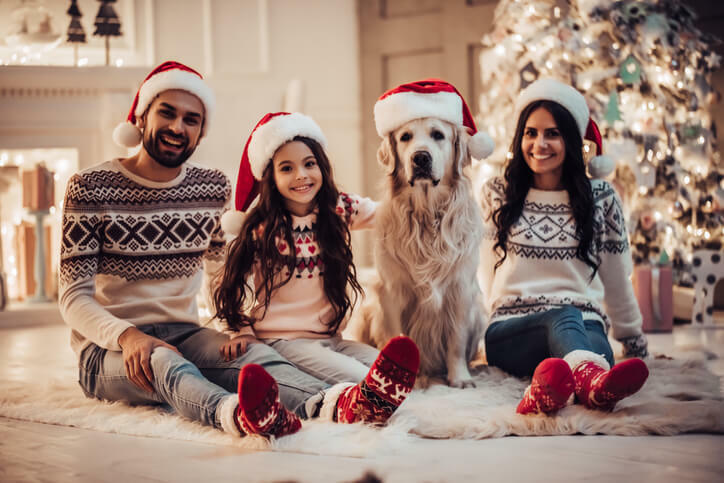 The Holiday season is in full swing with Christmas Trees glimmering through windows all night, mistletoe hanging from door frames, and plenty of ugly Christmas sweaters, (even for your dog), hanging in the stores! With all the festivities going on, it’s important to remember that a lot of things we love about the Holidays are actually dangerous to your furry friend. Dangerous plants, more than the usual number of wires that can be chewed, and ornaments that can be broken. The last thing we want for you this holiday season is to end up in the vet’s office! 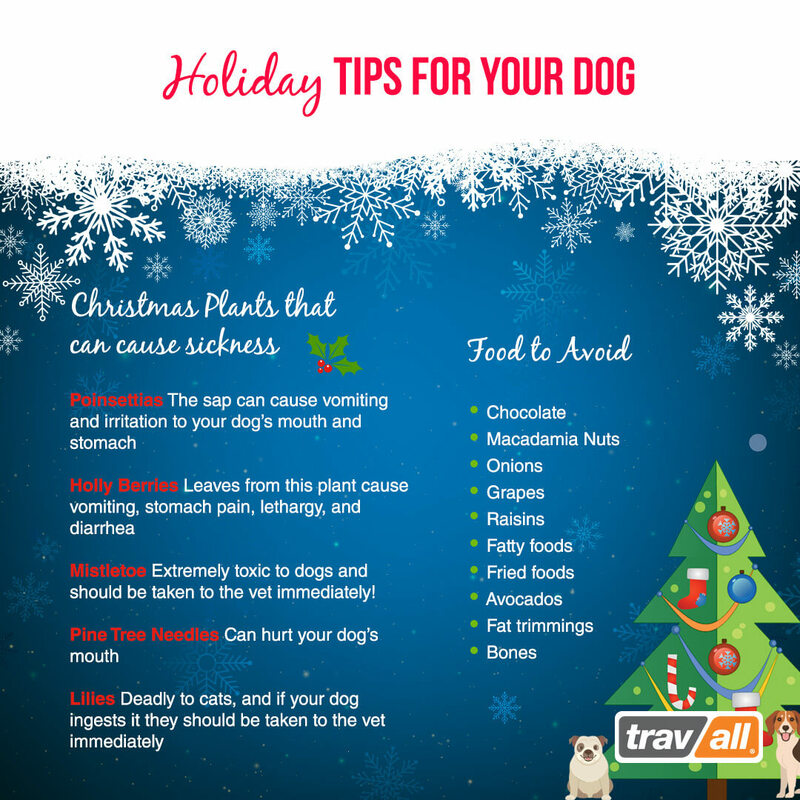 Here are a few tips that can help keep your pet safe throughout the holiday season. Tinsel. If you use tinsel on your tree, make sure it is out of the pup’s reach. If ingested it could potentially block their intestines, which is generally only remedied by surgical means. Ornaments & lights. You will want to keep ornaments and lights out of the dog’s reach as well. Ornaments might look like toys to your dog which, if they try to chew them, might break and can also be hazardous to your dog’s intestines, not to mention broken ornament shards can cut their mouth and paws. Lights on the tree that are left on for a long time can burn your dog’s skin (especially if they get tangled), and they can shock themselves if they chew on the wire. Best practice is to keep everything out of your dog’s reach! Real Christmas Trees. If you enjoy the lovely smell of a fresh pine tree and prefer to have a live tree, you’ll want to keep the area around the tree clean. Specifically, make sure it is clean of pine needles as they can upset your dogs’ stomach if ingested. They could also potentially puncture or irritate their intestines. Exposed wires. Any exposed wires – even outside lights – should be taped down, (preferably out of reach), with electrical tape to avoid your dog chewing them and getting electrocuted. Edible decorations. Especially if you have a dog that can’t keep his nose out of food… avoid these completely! 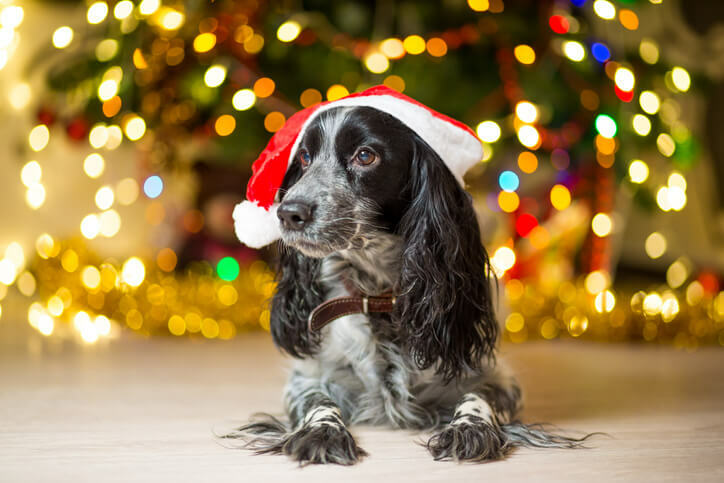 If you have popcorn string or chocolate pretzels hanging from your tree, there’s a good chance your dog is going to try to get them – potentially knocking the tree down or harming themselves! Plus – you definitely don’t want them to get the chocolate!! Burning Fireplaces and Candles. Keep burning candles out of your dog’s reach and make sure they aren’t on a surface that could be knocked over if the dog runs by. 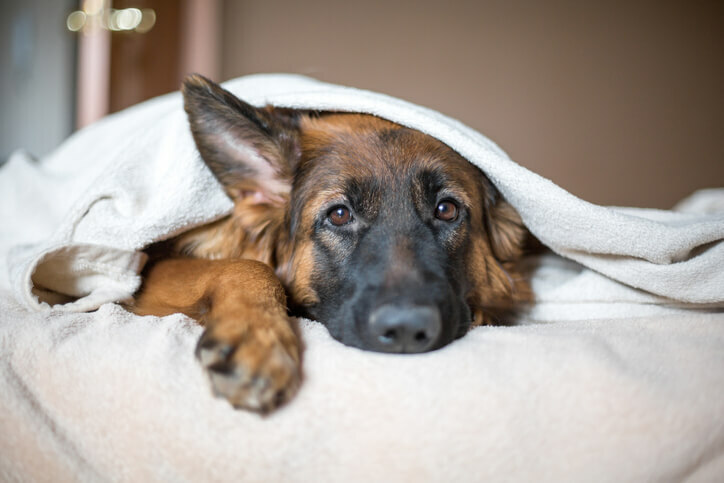 My dog LOVES to lay by the fire when we have one burning – just make sure to have a screen up to catch any popping embers and avoid burning the peacefully sleeping pup. Never leave a fire or burning candle unattended! Gifts and Treats. Even Santa doesn’t like to leave the pup out of Holiday gifts. Make sure you choose quality toys and treats when buying gifts for your pup. Don’t go overboard on the treats or table snacks and be sure not to feed them any of the foods below. 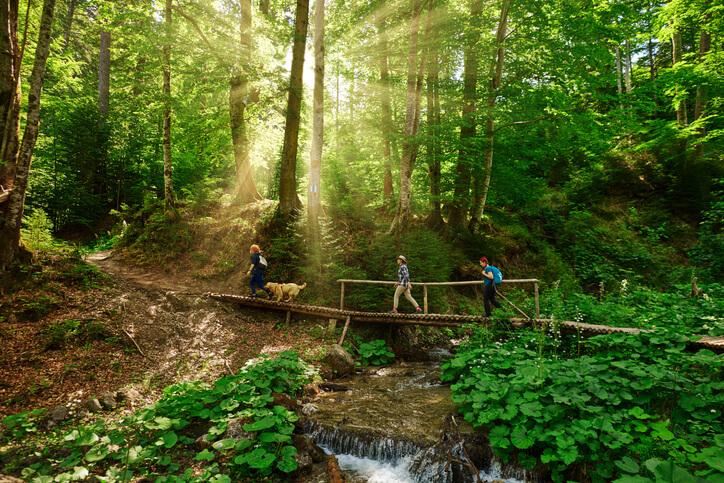 Looking for a holiday gifts for your adventurous loved one and their four-legged companion? Our Travall Guard is perfect! It’s a high-quality, rattle free, vehicle-specific dog guard for their car. It creates a barrier between the back seats and trunk, making sure no hazardous loose items fly around. 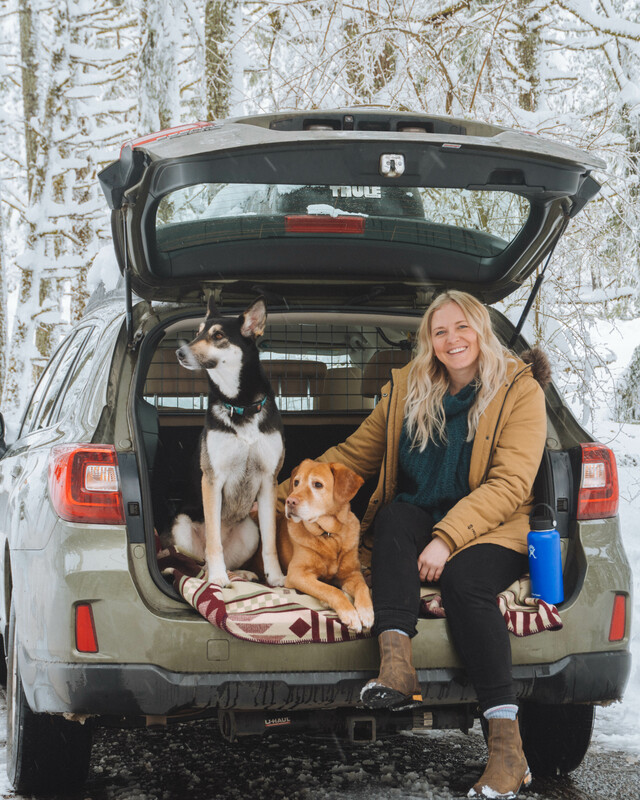 Great for creating a secure area for the dog on road trips, or loading the trunk to the brim with their gear while the pup is safely buckled in on the seats. Interested? Head over to the site and have a look around! 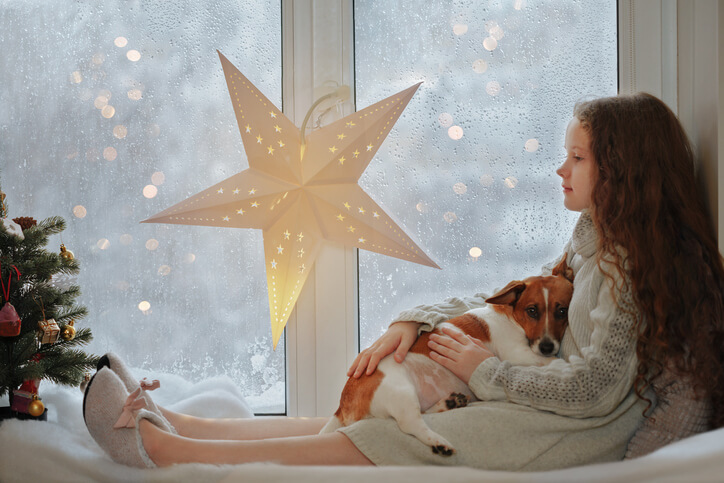 We hope you and the furry family have a very Happy Holiday full of cuddles and laughter! Like this blog? Share with your friends!